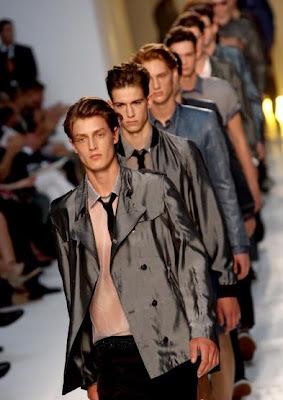 Homme Models is an international blog for the world of male models. Follows and shares information on the new up and coming models on and off the runway. It's that time of the year we all been waiting for. And it only happens twice a year. During this fall 08-09 season who will rule the runway? Will it be Mathias Lauridsen, Blaine Cook, or a fresh new comer. Time will tell.